Ski boots are entirely different to any other shoe. There are some unexpected considerations to make when trying on ski boots. If you’re doing this for the first time, or simply want a bit of advice to ensure you get the right size, we’re on hand to help. 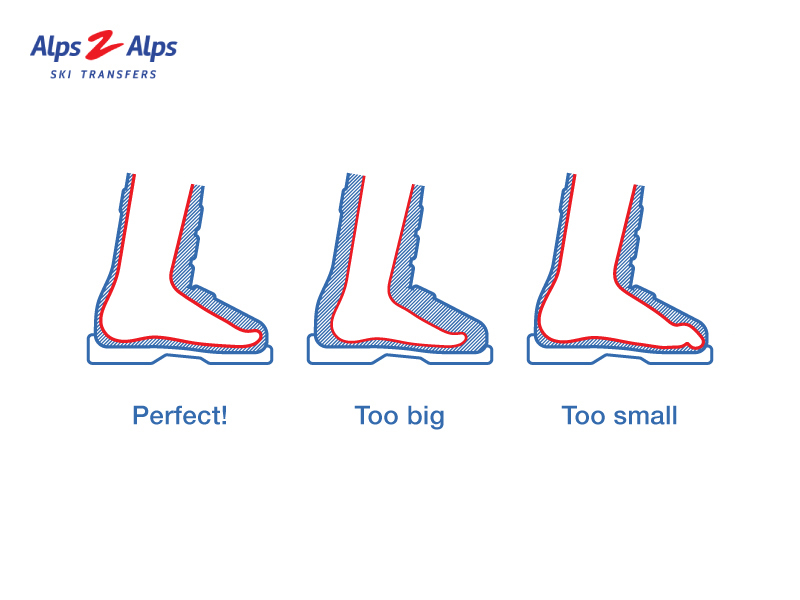 If you’re heading for the Alps this season, get your equipment right first time with our ski boot fitting guide. First of all, let’s start with some simple advice for anyone getting their ski boots fitted. This is probably one of the most vital pieces of guidance we can give anyone trying on ski boots for the first time. Don’t look at them like normal shoes, their fit is entirely different. 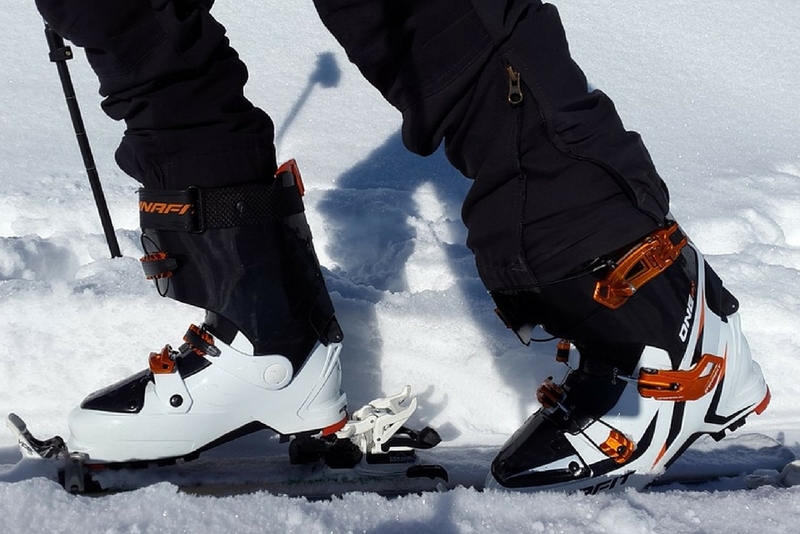 What might seem too small in a normal shoe could be the perfect size for a ski boot. 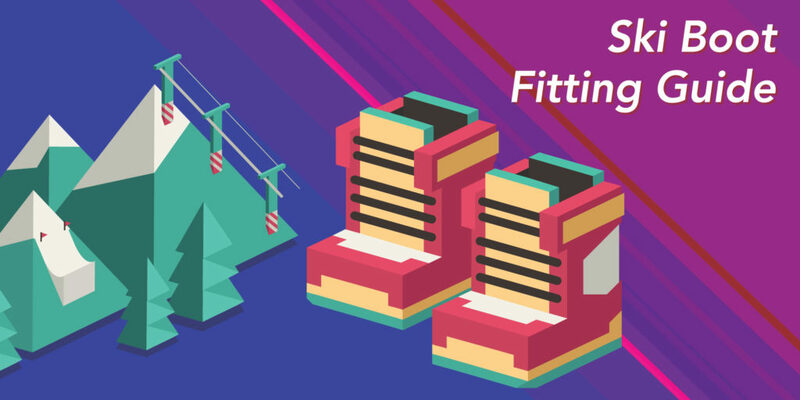 It’s important not to rush your ski boot fitting. Give yourself plenty of time and make sure you get it right. Going back to the hire shop because your boots don’t feel comfortable can be a real hassle worth avoiding. Everyone’s feet are different. From pronation and supination to those with one foot significantly bigger than the other. It’s important to make any issues known. Your ski boots will be fitted by an expert, talk to them about your feet. They’ll be able to make informed recommendations and offer some helpful advice. It’s easy to assume you should wear super thick socks when skiing. The truth is, it’s not recommended at all. You should wear a single pair of thin ski socks. There’s no need to double up or go for thick cotton options. These just put pressure on the top of the foot – reducing circulation, making you feel numb and uncomfortable. They’ll also give you less control of your skis. Moreover, cotton socks aren’t recommended at all. Opt for something synthetic (with moisture wicking properties) or woollen. Ski boots can feel uncomfortable. Don’t judge the fit prematurely, make sure it’s buckled and given a little time before you rule it out. Also, be aware of what a ski boot is meant to feel like. We’ve got more advice on this further on. 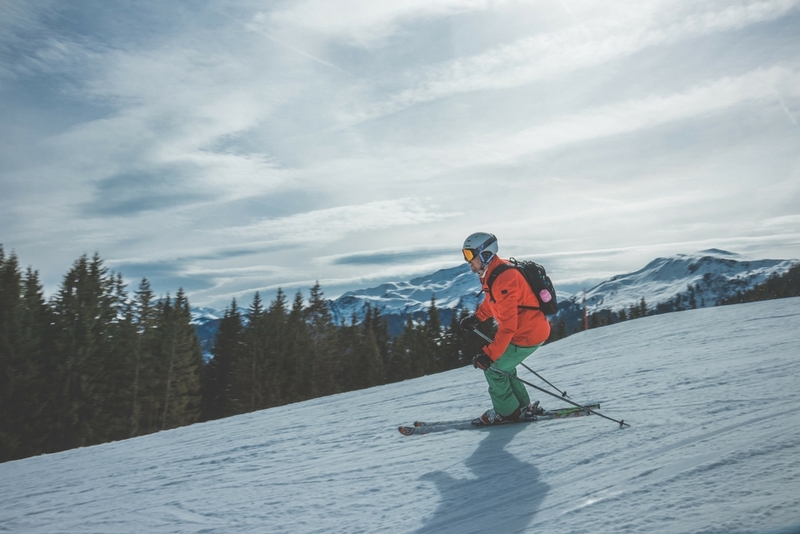 It’s important to get ski boots which fit properly and offer the level of performance you need. Don’t gravitate towards the most attractive pair in the store. Go for functionality, not fashion. 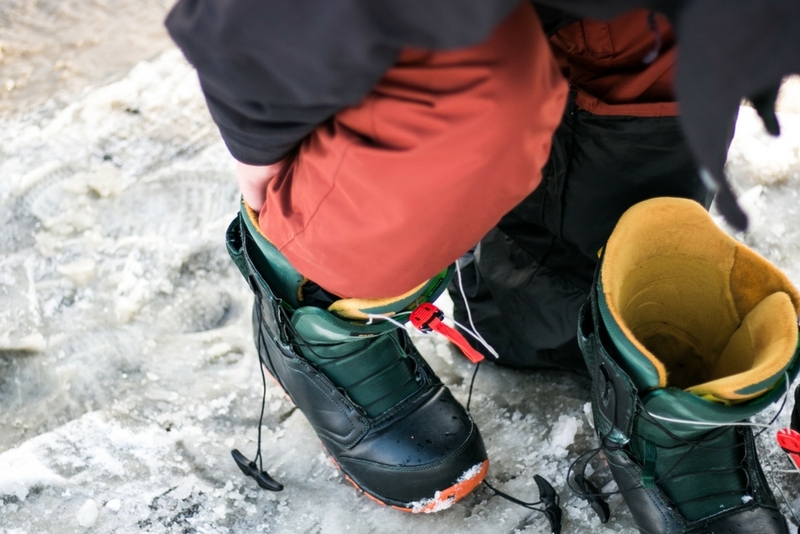 You may be travelling with experienced skiers who can offer help with the fitting of your boots. Don’t just trust their judgement, speak to the expert bootfitters too. They know whether a boot is the right fit, they can offer advice and make personalised recommendations. Talk to our assistants to get advice on which ski boots are best for your foot profile. It’s important to remember that ski boot sizing is measured according to a system called Mondopoint. This is quite simple really, it’s just your foot’s length in centimetres. Measure one foot from your heel to the tip of your longest toe – that’s your ski boot size! Alternatively, our ski boot size chart is a simple way to calculate your ski boot size based on the size of shoe you usually wear. Try Your Ski Boots On! However accurate this chart may be, it’s still vital to actually try the boots on. Depending on your feet, you could find yourself a size larger or smaller than expected. Try as many boots as you need, don’t rush this. It’s always recommended to do a shell fitting in the hire store before you choose a pair of boots. Liners change in shape to complement your foot, the shell won’t. How Should Your Boots Feel? Ski boots can feel uncomfortable when you first put them on. This doesn’t mean they’re the wrong size, this is just how they’re designed. So, how should your boots feel? When you stand in an upright position with the fastened boot on, you should feel some pressure on the ends of your toes. This is ideal for ski boots. Once your heel is properly seated in the pocket, this will feel less uncomfortable. When you’re in the ski position, you should feel your heel slide back and allow more freedom for your toes. You should also be able to lift your heel when you’re buckled down – this is because your foot is more flexible than the boot. If you’re unable to lift your heel, it’s not a deal breaker, you could have a less flexible foot. Remember, the lining of your boot is designed to fit with no excess space. With heat and wear, these will soften and compress to complement the shape of your foot. Just because a boot is too small, it doesn’t mean you should jump up a size. Picking the same size in a different boot is often the best course of action. Footbeds are another option to add comfort and aid your fit. Your bootfitter will be able to make recommendations on these. If you’re on the slopes and experiencing some pain or issues, this could be down to poor fitting boots. Here are some of the most common ailments. Don’t add an extra pair of socks, that’s not going to help. If you’re experiencing cold or numb toes, you’re probably suffering from poor circulation or nerve pressure. Footbeds can be a simple fix to this. These will spread the pressure evenly across the sole of your foot – relaxing muscles and boosting blood flow. You can also purchase heated footbeds which are designed to stimulate circulation to the ends of your toes. Alternatively, width could be causing some of the issues. Alterations to your boot might help. This is a common issue when skiing. Pains around your shins often derive from too much space around the lower leg. This space allows the boot’s tongue to bash against your shin bone. Alternatively, if you suffer from pronation this can lead to the tongue rubbing against the shin. The quality of your socks could even play a part here. We’d recommend looking for another pair of boots or adding an appropriate footbed. Foot arch pain can originate from too much downward pressure by the instep. This is often the result of oversized boots being tightened too much. This is caused by forcing an unnatural pronation action which stretches the tendons below your foot’s arch. There are a few other potential causes of foot arch pain. It could simply be fatigue. Alternatively, you may be suffering from plantar fasciitis. This is a condition caused by straining or tearing the ligament which supports your arch. These issues could be resolved by wearing the correct size boot – visit your local hire shop to get this resolved. Also known as Metatarsalgia, a burning sensation in the ball of the foot can be due to a number of reasons including poor balance, tight achilles, tight buckles, neuroma or excessive pronation. The best way to combat against this is by using a supportive footbed. If you transfer from Geneva Airport to your ski resort with Alps 2 Alps, you can skip the queue and hire your equipment en-route. Not only is it cheaper and more convenient than hiring at the resort but you’ll also get expert advice from our experienced in-store bootfitters. Find out more and book your ski equipment hire here.